Blog is short for weblog (weBLOG). Check here to see the latest information about my site (and, occasionally, about my life in general). It isn't a conventional blogit just lets you know what I'm currently working on! I finished the web exercises for Vector Application: Forces Acting On an Object in Equilibrium. These took a long time; some have JSXGraph free-body diagrams embedded in them (both online exercises and the worksheets). I want to keep track of Ed Kotski's web site: JSBachFOA.org. Ed was choir director for many years at St. Ann's Church, while I was in the choir there. He was the most enthusiastic, hard-working and dedicated director I've ever known, and truly shaped my musical future. He seems to have a lot of interesting stuff on his site, which I want to look at more fully. I finished the concept discussion for Vector Application: Forces Acting On an Object in Equilibrium. It feels so good to be back working on my math lessons! I finished the exercises for Vector Application: Finding True Speed and Direction. I updated my monthly stats for November. I finished the concept discussion for Vector Application: Finding True Speed and Direction. Ray bought about 200 dance DVDs when there was a huge sale, and I've been copying them onto the computer and appropriately naming all the files (typically 10 to 20 for each DVD). This will make the entire collection searchable and most useful to us. It takes an enormous amount of storage space; so I've got to stop for a few days now and wait for the new hard drive to arrive! We've got lots of Christmas music for church. I'm the alto in a quintet of Mary, Did You Know? (Pentatonix). I'm playing the piano for a choral version of "Oh Holy Night"; the piano accompaniment is challenging. I'm also accompanying another choral piece for January with challenging accompaniment. Plus, I'm singing in lots of other pieces. So, I've been doing lots of piano practicing and singing! It took me days to sort/organize all the stuff that was brought back from clearing out the Nielsen Lane home. In particular, I made up a nice memorabilia scrapbook for loads of the cards, photos, newspaper clippings I ended up with. I'm making small personalized Christmas gifts using my embroidery machine; again, lots of time. I've had a bunch of miscellaneous projects: making a cover for our hauling trailer (so the trash doesn't blow all over the desert); making custom visor covers for Ray's van; making a batch of apple core jelly for Ray; going through hundreds of my old address book entries to update/delete/edit in transferring over from my MAC to my new PC. Plus, everything is just slower since I'm not up-to-speed yet in switching from my MAC back to a PC. Bethany's rat, Storm, died today. She was from a litter that Bethany bred, and was a wonderful pet for over two years. Every time Carol cooked in the kitchen, she gave little treats to Storm; so cooking today just wasn't the same without Storm there. We buried her out by Pebble, next to Snicker's grave (Bethany's bunny that escaped and died). Sad day. I updated my monthly stats for October. I've been in Massachusetts for another (intense) three weeks, finishing the cleaning out of my parent's home. A lot of stuff gets accumulated throughout a lifetime (with a large part of that lifetime in the same home). We've used a great system: I take individual photos of items, post them online, and then siblings and sibling children tell me what they're interested in via email. (As I clear out an area to take photos, I also deep-clean.) After a three-day period, I post the ‘decisions’ and the ‘no interest’ items (and people get a second chance, by looking at the ‘no interest’ list). When there's competition at the same level, people decide between themselves who gets what. This has gotten things to people who can really appreciate and benefit from them. The last photo I took was #2783; almost three thousand items processed! For this three-week period, Ray wrote custom software to help me with all the logistics, which made things much, much easier. Thank you, my wonderful husband Ray!! WaterSeer: Water from Air, No Power I supported it! Looks like I'll be digging a hole in our Arizona desert within the next couple years. I (finally!) finished the web exercises for Vectors: From Horizontal/Vertical Components to Direction/Magnitude. I've been getting rid of stuff, in preparation to move into our smaller country home: Burns Family Online Tag Sale. There was a big sale on dance DVDs, and Ray bought MANY. So, I'm spending LOTS of time loading them onto the computer and re-naming them. Also, I'm spending lots of time learning Windows 10, Visual Studio, OneNotean entirely new flow for me, going from a MAC back to a PC. With all these current projects (plus, I'll be heading back to Massachusetts to finish work there), there won't be any new math lessons for a while. Long time since a blog entryand a lot has happened. I've taken photos of 1200 Nielsen Lane items and posted them on a web page so siblings (and then sibling children) can decide new ownership. As I processed an area, I deep-cleaned: done with the kitchen, foyer, Dad's study, game closet, both bathrooms. I'll return in mid-October to finish the house. The day after returning to Arizona, the motherboard on my MAC failed. Can't be repairedthey don't make them for dinosaurs like mine. So, the time has finally come to go back to a PC; I'll use Visual Studio for web development. Haven't yet recovered the data from my old computer, but I should be able to get almost everything using my Time Machine and an old computer of Julia's! In doing a bunch of repetitive tasks today, I discovered TinyTask; it allows you to record and then play back keystrokes. Perfect for what I was doing! Weeks here in Massachusetts, cleaning out my Mom's house. We're really ‘processing’ for three people: my sister Jean, my Dad, and my Momvery little was gone through after Jean and Dad's death several years ago. Massive, massive job. Makes me want to go home and get rid of everything! My Mom's funeral (Saturday, September 3, 2016) went beautifully, and it was wonderful to see lots of extended family and friends. I'm in Lenox, Massachusetts cleaning out her home, so it's not likely that I'll get any math web work done in several weeks. A few days ago my daughter Julia posted some of her memories on Facebook about Mom, her Grandma. I'd like to share just a few of those with you here. Just a couple words of my own first. 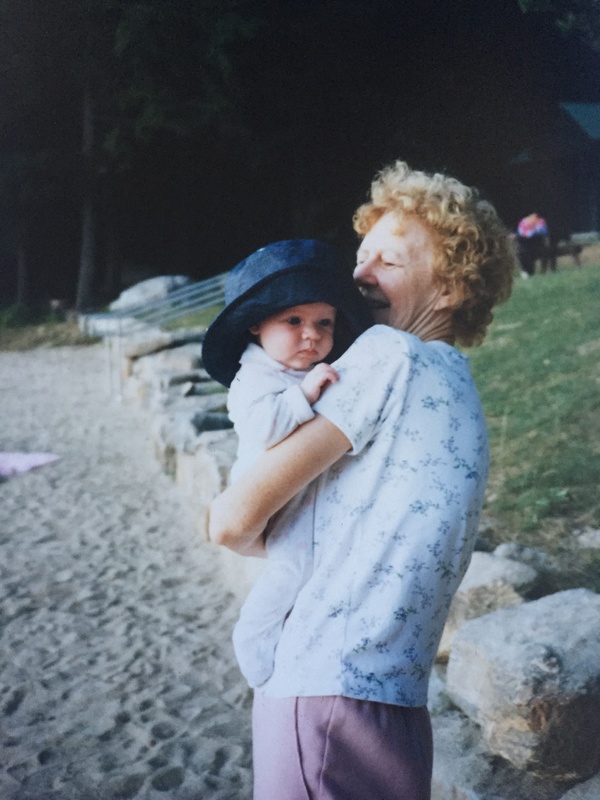 The last 15 years have been tough for my family, and, when Mom died, I actually realized that many of my earlier, fonder, memories had been overshadowed. But on reading Julia's post, all the good came flooding back. It was like ‘Yes! That was wonderful! That was so much fun!’ And at that moment it occurred to me that maybe that's what Heaven is: a great, brilliant light that illuminates all the good that we have done in this world, and all the good that has happened because of our presence here on earth. So, here are Julia's memories... [and then I selected snippets from her post, which appears below]. My Mom, Pauline Valerie Kulpinski Vreeland, died last night (August 29, 2016, 1:00 AM) at age 85. As was important to her, she died in her own bed in her own home. She made it past midnight, so she didn't die on my birthday (August 28th). I got to talk to her yesterday afternoon; my brother Rick thinks she understood that it was me, and what I was saying. I told her how much I love her; how much I appreciate the life of love that she has given to me; that I have never, for one instant, doubted her love for me; and that I believe I'm a good Mom because of her model. I didn't get to see her again before she died; when I bought my one-way ticket a week ago, I thought I'd perhaps have a couple months with her. However, her decline was swift. Since my Dad and sister Jean died several years ago, Mom has wanted to join them, and has frequently wondered why God was keeping her around for so long. So, when a cancerous stomach mass was discovered, it was not surprising that she didn't want to treat it. I will never forget my childhood, filled with memories of friends who loved to come to our home, because Mom always opened the doors with friendship and kindness and smiles. People always felt welcome. I am very lucky to have had Mom in my life here on earth for 58 years. It's been a sad day today. My grandmother (my mom's mom, Pauline Vreeland) passed away early this morning. She was a lovely human being --- kind, incredibly giving, and in constant motion. Sometimes, at family dinners, it would seem like she was hardly sitting and eating because she was so frequently bouncing up to get something for someone. She was a caretaker for so many people in her life --- more than anyone should have to be. The photo included with this post is my favorite one of her. I believe that's my cousin Hannah who she's holding. Every summer when I was a child, we would go back east from Idaho to visit family. I feel like we stayed at my grandparents' house for months, although I don't really trust my sense of time from when I was a kid. Those summers are just such happy memories. Grandma and Grandpa's house was a hub of activity with so much family constantly coming and going. I spent hours in Grandma's huge garden "helping" her (more like trailing after her and eating the fruits of her labor). We'd spend more hours on the tree swings and the lawn swing, especially in the mornings and evenings with cups of tea/coffee/hot chocolate. Like my mom, she made delicious and healthful meals often involving vegetables she'd grown herself. If you had a special occasion, you could choose a special meal that she would make. And of course there were delicious deserts, and if not fully-prepared deserts, then sweets. She would hide candy in the kitchen and in one of her dresser drawers. I was allowed to go in and get a piece if I wanted. I believe she taught me how to make whipped cream from scratch. At the very least, I have a distinct memory of learning how to make it in her kitchen. It could be my aunt Sandy who did the actual teaching! When we were fairly little, my cousins Kit and Ben (Jessica Irwin Vreeland's husband) and I sometimes camped out in a tent someone (Grandma? Grandpa? One of our parents? Mary Ann? Sandy?) would set up in my grandparents' backyard. We would capture fireflies in jars and have hot chocolate with marshmallows and run around in the dark. In general, they made their house heaven for kids. For years, the first thing I'd do after arriving for the summer was run downstairs and get Hippity-Hop, the yoga ball + horse head that you could ride around. I loved that thing. Grandpa had put swings in one of their basements --- great fun for rainy days or right after doing laundry. Their other basement had a ping-ping/pool table that I spent some time at (but I think my cousins and mom and aunts and uncles spent more time there). There were so many games and puzzles you could play with, and of course there was the huge backyard with tree swings, a lawn swing, a hammock, a tree house and sand box (for a few years), badminton, and croquet. My grandmother was the organist at her church for as long as I can remember. I spent countless hours during those summers with her in the choir loft --- preparing for mass, practicing songs, and just being with her. When she'd go out shopping, I'd often get to go with her. I was always excited when she wanted to go to the little news store in Lenox because she would get us small containers of bulk candy. She would always get Swedish Fish (her favorite), and I would often get Sour Patch Kids. She just seemed happy to spend time with any of her grandchildren, and I loved spending time with her. Time at my grandparents' house always felt like a celebration of simply being together. While everyone regularly spending time there contributed to that atmosphere, Grandma was the pivot point, the one directly or indirectly making it all happen. She was the one that brought everyone together. The world is a lot better for her having been in it. I will miss her. I just discovered that my Uncle Chuck's home is now on the market. My Uncle Chuck Vreeland (my Dad's brother) built this home over many years, at 40 Clark Wright Road in Middlefield, MA. It is the most incredible home I have ever known. It is a massive home that needs a big family, with kids exploring all the nooks and crevices, woods and streams. I pray that a good and loving family can cherish this home and fill it with love and laughter over generations. I expanded the concept discussion in Vectors: From Horizontal/Vertical Components to Direction/Magnitude to include information on using the reference angle of the vector to find standard direction. I finished the concept discussion for Vectors: From Horizontal/Vertical Components to Direction/Magnitude. I've spent most of the past 1.5 weeks making all the window coverings for our tiny house, Pebble! My former husband gave me the old curtains (that I had made) from our earlier home, and I used this fabric. Beautiful curtains (low-tech: dowel on bottom to give rigidity, roll-up and tie) and great memories! I sobbed the first time someone posted this on Facebook: a husband who surprised his wife of 10 years (who has multiple sclerosis) with a choir singing ‘Just the Way You Are’. Ray was playing Billy Joel's song (of the same name) on the piano, which reminded me of it. The lyrics are here. So beautiful, so touching. After all these decadesI finally know how to keep food from sticking to my pans by making use of the Leidenfrost Effect. (There are several videos at this link; watch them all!) Just heat and drop a bit of water on the pan, until you get the ‘mercury ball’ effect!! Very domestic week for me so far! I got an Instant Pot, and am absolutely loving it! Also, I'm making window covers for Pebblevery simple, no hardware, roll-up-and-tie. I'm re-using material from curtains we had in my Idaho home. Saving lots of money, and good memories, too! I've finished the web exercises for Vectors: From Direction/Magnitude to Horizontal/Vertical Components. This exercise should be used as a template whenever I want to incorporate JSXGraph boxes in exercises and worksheets. I put in comments, marked with JSXGRAPH#, to indicate where changes need to be made. Get started learning Wolfram programming here. I've finished the concept discussion for Vectors: From Direction/Magnitude to Horizontal/Vertical Components. We bought white plastic dome LED ceiling lights for our tiny house, Pebble. They're highly efficient, but the stark white plastic does not fit with Pebble's natural wood/stone/tile interior. So, I'm making translucent fabric covers. I bought several materials to try them out, and they all look great! They don't diminish the light output significantly (if anything, they soften it a bit), and they look much better! My favorite (and, of course it's the most expensive) is a translucent iridescent organza, which gives a beautiful shimmer and texture. I cut 9 inch radius circles, stitch a small seam allowance around the circumference, then attach thin elastic. Stretch and slip it over the dome. Hooray! I've made good progress on the concept discussion for Vectors: From Direction/Magnitude to Horizontal/Vertical Components. First day of seventh grade for Bethany! I definitely want to do this 47 National Park road trip with Ray before too many years go by! I finished the web exercises for Formula for the Length of a Vector. I want to keep track of this Janome 2212 4-step buttonhole video. Here are 65 embroidery videos from Embroidery Library! I enlarged this embroidered topsy towel to use the entire 28" of my flour sack towels, but it doesn't look good at all. Cut down the towels, and stick with the suggested size! I finished the concept discussion for Formula for the Length of a Vector. It is so great to have a few sections that I seem to be able to finish quickly! More Practice with the Form $\,a\cdot\frac bc\,$ to prevent people from just re-typing the question without simplication. I finished the web exercises for Unit Vectors. Done in two days! (This was a very short section.) I haven't finished a section in such a short time in ages!! I updated my monthly stats for July. I finished the concept discussion for Unit Vectors. HOORAY!! I'm done with all the updates!! I caught several minor errors and inconsistencies along the way; it's always valuable to make a ‘pass’ through all my lessons. I finished the updates for the Algebra II lessons. I'm getting really fast at this! I finished the exercises for Working with the Analytic Representation for Vectors. Also, someone posted a cool multiplication trick on Facebook today, so I wrote up a page showing why it is true. I finished the updates for the Geometry lessons. This went a lot faster than the Algebra updates! I finished updating the Algebra I course! Woo hoo! I also updated the Algebra Pinball Printable Template with the timed exercises that had been forgotten in the original Algebra Pinball chart. These new ones now bring Algebra Pinball to a nice even 100 exercises!! Now, onto the updates for Geometry! I finished the concept discussion for Working with the Analytic Representation for Vectors. I want to keep track of this link: Center for Game Science. I suggested my site for consideration at Great Websites For Kids . A complete sequenced math curriculum, starting from about grade 7, thru early college. Can be used for home-schoolers, enrichment, self-improvement. Uses MathJax (state-of-the-art math-on-the-web) to create unlimited, randomly-generated, beautiful math; both online exercises, and unlimited randomly-generated printable worksheets. Everything is free and freely-available: no logins etc. Uses JSXGraph for the dynamic graphics. There's a five-minute intro youtube video (link at the top of any of my thousands of pagesexcept my homepage!) I currently have two pre-7th-graders going thru my curriculum, and putting in age-appropriate Algebra Pinball times. People can (free of charge) get a ‘home’ on my ‘real number line population’a cool social experiment! (How will people choose to populate a one-dimensional space?) I also have SAT prep, a complete text on the Language of Mathematics, more. I've invested over 11,000 hrs in this site since 1999. Dr. Carol JVF Burns: taught for 30 years at both high school and college levels: University of Massachusetts (Amherst), University of Oklahoma (Norman), Idaho State University (Pocatello), Miss Hall's School (Pittsfield, MA), Northern Arizona University (Flagstaff); was a featured speaker at CAMT 2015; have a Doctor of Arts degree in mathematics; link to my resume from my site. I'm up to about 125 updates in my Algebra I course. I'm trying to do about 5-10 each day. I started this concept question feature in lesson 81 of Precalculus, so I've got a lot of updates still to do: finish Algebra I; then Geometry, Algebra II, Calculus, and the beginning of Precalculus. But, the boys use it on every lesson to prepare for their quiz, so I know it makes the lessons much more usable, and is worth the time. A Conundrum: When is Equal, Not Equal? Or, Not Equal, Equal? My brilliant husband came to the rescue yet again! I finished the web exercises for Working with the Arrow Representation for Vectors. I finished the concept discussion for Working with the Arrow Representation for Vectors. I made it MUCH EASIER for people to participate in my Number Line Population! Now, people can use form items to choose the number, type in their message, and choose their color. They get a preview of what their number will look like. They'll just click a button to send me the email, which is already populated with their information. We'll see if this helps me get more participants! I've finished the exercises for Linear Inequalities in Two Variables. Case 5 took me a long time, to get the randomness I wanted! I've also finished the exercises for all my Work Problem sections. Now, I can finally return to Precalculus! I've got the concept discussion finished for a new section in Algebra I, Linear Inequalities in Two Variables. I want to keep track of this page: Plotting and Graphics Examples for WolframAlpha. I'm trying an Amazon GiveAway to try and get people to watch my introductory video. Giving away a free Hanabi game; people have a 1/250 chance of winning. I'm offering a free point on my Number Line as a consolation prize. Thought it would be worth about twenty dollars for this little experiment! I have 939 views as of the start of this experiment. I've filled in a gap in my Algebra I course with a new section, Renaming Square Roots. This was prompted from helping someone prepare for the final exam for MAT 092 (Elementary Algebra) at Pima Community College. I realized I didn't have much information on simplifying radicals. Now fixed! I created a new section, Dividing More Than One Term by a Single Term. I'm really pleased with case 2!! It was a lot of work. I put the rectangle word problem in Solving More Complicated Quadratic Equations by Factoring . You may need to restart Finder to see the new results. Replaced my separate ‘desitin’ and ‘velcro’ Fun Facts with a slightly more general one, saying I can't live without desitin, velcro, and magic erasers. I put in Amazon Affiliate Links for all three, with a blurb about how these links work. I also added in a Fun Fact about Pebble and the Rock House. I updated my monthly stats for June. I added a Number Line Population link to my homepage. I've completely finished Work Problems: Basic Concepts, including concept questions. I've also done LOTS of work on Quick-and-Easy Estimates for Two-Person Work Problems, and I'm very pleased with this section! I've about halfway through the updates in my Algebra I course. I realized that I didn't have Taking PEMDAS Too Literally: Don't Make This Mistake! in Algebra Pinball, so I added it in, with my own time. Now I'm working on the concept questions for each. Currently, there are no concept questions in either section, but I hope to add some over the next few days. I'm also trying a new incentive for people to visit my number linerandom combinations (using synonyms) of ‘Home for Sale: Almost Free, on a long, narrow road’. As per a suggestion by Peter, I put a table on my Fun Facts page that shows which facts people have seen. I like it! These boys have such good ideas! Ron/Peter discovered that when you put in a BIG number whe creating a worksheet, it can lock up the computer. So, I'm putting in a max of 100 for worksheets. If you put in a number greater than 100, an alert box says that ‘your worksheet will have 100 problems’ and then does that. I've gone back to the 50 files already updated and put in this new feature; I'll put it in with my other updates as I move forward. I've finished the exercises for Introduction to Vectors. I put a blocking cookie on my Number Line Population statscounter, so my own visits won't be counted. Then, I reset the counter to zero. I modified the worksheet on Finding Least Common Multiples so that it won't give any repeat problems. Kept the same variability as the online problems (so they're quite easy), and limited the max number to 20, so it wouldn't have to work too hard to create unique problems. A pillow cover from an old shirt , I love it! I've created a Number Line Population as a donation incentiveso much fun! Opened it up (for free) to my Facebook friends to start populating the number line, and there has been very positive feedback. Hooray! I had to download the newest version of JSXGraph in order to use ‘over’ for a hovering-over-a-point action. Finished all the squares with external fonts for my ‘embroidery machine sampler’ quilt. Now, I'm doing the squares with the built-in fonts. Got five more updates done in my Algebra Pinball chart. I've got the concept discussion done for Introduction to Vectors. Productive day! I'm keeping track of my updates via the middle-school Algebra Pinball chart. As I put in the concept question feature (and other tweaks) I add the exercise to this chart. Trying to do about 5/day. I've got 30 done so far. I want to keep track of Doodle for things like: Who will bring a dinner to a sick church member on what night? It's easy and free! I've been on ‘kitty duty’ for five days. Kitty Mommy and Daddy (AKA Julia and Tony) get home tonight! Came across this website, www.pdffiller.com. I saved one of my randomly-generated worksheets to my desktop, then brought it into pdffillerthen the answers can be typed in. This might be useful to some people using my site. I created a blank Algebra Pinball table to make it easy for people to keep track of their own progress. I put links to it from my main Table of Contents, and from both of the existing Algebra Pinball pages. I updated the Multiplication algebra pinball sheet to include info about which numbers were used, and whether variables were used or not. I've scheduled an Algebra Pinball Ice Cream Party for Saturday, June 11th, at 3PM, for locals (via Facebook): the admission is one Algebra Pinball timing sheet that beats Peter/Ron's time! We'll see if I get any takers! I'm managing to stay a few lessons ahead of Peter/Ron in updating my lessons! I updated my monthly stats for May. I've updated Expressions versus Sentences to include the available/mastered/in progress concept question feature . Jump right to the exercises! See the best Algebra Pinball time. The concepts for this exercise are summarized below. For a complete discussion, read the text. ... and lots MORE PRACTICE! This page gives an in-a-nutshell discussion of the concepts. For a more thorough discussion, read the text. I'll try and update each section with these changes, as I go through the curriculum with Peter and Ron. I also changed the top text on my main Algebra Pinball page, and I changed ‘cross-dressing’ to ‘dress-wearing’ on my homepage. I've been gone for several days to attend a niece's wedding in Utah. The day after the wedding, lots of the family got together to hike to Stewart Falls. It took a while to locate the trailhead, since their posted info was wrong. Once that was figured out, it was a beautiful hike. We put in a place-holder for the page that Peter/Ron will create that documents their progress through the curriculum. Also, they had an excellent suggestion: radio buttons should be activated by clicking on the word (or words) next to the radio button. Ends up this is easyjust include the <input> tag and adjacent word(s) inside a <label></label> container. Thanks, Peter and Ron, for this great suggestion! I'll update my relevant exercises as we go through the curriculum. Get feedback on what works and doesn't work. I believe that my curriculum, starting with Algebra I, is accessible to self-motivated middle-schoolers. Peter/Ron will go through the lessons, and help me locate places that could use improvement. Peter/Ron will put up Algebra Pinball scores, so other users can have a sense of what people their age are able to do. I want parents/teachers world-wide to say to their children/students: ‘Go visit Peter and Ron onlinethey'll guide you through Tree of Math’! This seems to be a great free online learn-to-type resource . I'm going to recommend it to Peter and Ron! Here's a technique for a ‘dowel pocket’ for hanging a mini-quilt on a wall. Also, here's a sleeve technique (which is good for bigger quilts). This is a great binding tutorial. I'm using this technique to put the binding on Julia and Tony's wedding sampler quilt. It's actually going to be finished in time for their one-year anniversary!! I want to keep track of this fun memory game; a great use for the many fabric scraps that I have! I added this beef and rice casserole to my online recipe collection. It definitely meets my criteria: easy, delicious (a near-10 with Ray), healthful, and inexpensive. I've finished Solving Pseudo-Quadratic Equations. I'm really pleased with the variety of equations. Now, a few days of dedicated sewing! Julia and I went to the Tucson Botanical Gardens (their ‘Weird Plants Sale’) for a Mother's Day gift to me! She got me a gorgeous Kelly Griffin aloe hybrid and a homemade pot to put it in, to have on my kitchen window in Pebble. The color and texture is very different and beautiful. She also took me out for sushi for lunch. What a wonderful day! What a wonderful daughter! I've added some material to the Quadratic Formula . Realized I didn't have a simple example of actually using the quadratic formula. Andexciting daywe got Marybelle a car!!! It's a 2002 Honda Accord EX Sedan, in excellent condition. One big thing checked off the to-do list! I've finished the concept discussion for a new section, Solving Pseudo-Quadratic Equations. I thought I had this flower stitch attachment video in an earlier post, but I couldn't find it! I finished the exercises for Solving Trigonometric Equations. I've loaded all my fonts (almost 50) into AlphaTricks, and adjusted baselines where needed (like dipping ‘y’ beneath the baseline). I'm creating blocks for my ‘sampler quilt’ that illustrate each of these different fonts. It will take a while to finish this, but I'll have a fantastic at-a-glance sampler of what fonts I have available, when I'm done! I've finished three (of seven) of the blocks for Julia and Tony's wedding quilt: the ‘robot’ invitation, the map, and the lego heart. We've decided on three of the four remaining blocks, and also decided to put a multi-colored border around all the blocks, with a black border around the outside edge. Julia located this free color-blindness simulator at http://colororacle.org/ to let you see what your site looks like to people with common color vision impairments. I added more Fun Facts, so I now have 80. I also now allow the full set of fun facts to appear on the bottom of each of my pages (I was using a subset). I tweaked my header, so the logo and links are vertically-aligned-top instead of middle. I got back late Wednesday night from my three weeks with my Mom in Massachusetts. It was a great trip: lots of double solitaire, snuggling watching movies, good meals together, playing piano, laughs and hugs! I finished the concept discussion in Solving Trigonometric Equations. On to the exercises! I finished Example 4 (using graphical methods to approximate solutions) in Solving Trigonometric Equations. I've made some progress on Solving Trigonometric Equations. I've started a new section, Solving Trigonometric Equations. There are a bunch of word-press-related files that are continually appearing in my server error files. I briefly experimented with WordPress many years ago, but never used it. I don't want all these errors occurring, so I uploaded php files with these names, that merely say ‘Who is accessing this file? Contact me from my homepage, please!’. We'll see what happens! I've finished going thru all my pages after the MathJax upgrade! They look amazing, and load unbelievably fast. HOORAY!! In the first case, stuff is readable, just vertically-mixed-up. In the second case, stuff is readable, just ugly. I found code at Simple Sharing Buttons Generator that allows me to use the nice social icons supplied with my Pen & Pencil template (instead of getting icons directly from Facebook, Twitter, etc.) They seem to work great! I also got share buttons (for Facebook, Twitter, Google +, Tumblr, Pinterest, and LinkedIn) up on all of my lessons! Hopefully, this will make it easier for people to spread the word about my site. I think they look good! I've removed all my website summary statistics and income information. So far since upgrading MathJax to the CDN, I've checked through all of Geometry, Algebra II, and Calculus; up to lesson 40 in Algebra I; up to lesson 15 in Precalculus. I've checked each lesson in (ancient) Safari, Chrome, and Firefox. The $\,5\,$ should be on the same line as the $\,4\,$, with the $\,n\,$ and arrow beneath the $\,5\,$. It renders fine in Chrome and Firefox. Here, the $\,i^2\,$ should be centered on the summation symbol. It's fine in inline mode; just breaks in display mode. It's fine in Chrome and Firefox. Consequently, Summation Notation and Mean, Median, and Mode look horrible (basically unreadable) in ancient Safari. I FINALLY DID IT!!! At about midnight last night, I changed my entire site over to use the newest version of MathJax from the CDN (Content Distribution Network)!!! This gets rid of the Chrome bug that was affecting almost half of my usersan ugly vertical bar appeared on the right of every bit of math. The pages also load much faster. I can't believe I waited so long to do this. I feared that some little bit of code that I tweaked in the old version might not look perfect with the upgradeinstead, I was living with all the math looking horrible in Chrome (half of my users). Stupid, stupid, stupid. So far, I've only seen one thing that rendered differently in my very old version of Safarian extremely complicated underset/underbrace/overbrace construction. It will take me a while to check all my pages. Please contact me (contact form on my homepage) if you notice anything that seems broken. Thanks! I'm removing the GeoGebra pages, since they're no longer reliable in all major browsers. There is horizontal space left for the $\,(x+h)^2\,$ (there shouldn't be). It's $\,x^2\,$, it's $\,x^2\,$, it's $\,x^2\,$, it's $\,x^2\,$, it's $\,x^2\,$, it's $\,x^2\,$. It's $x^2$, it's $x^2$, it's $x^2$, it's $x^2$, it's $x^2$, it's $x^2$. I finished Inverse Trigonometric Function Problems: All Mixed Up. Now, there are a couple projects I need to finish for my Mom, before starting a new section. I switched both TeX Commands Available in MathJax and its Korean version, to use the newest available stable version of MathJax, via the MathJax Content Distribution Network (CDN). They now work like a dream! Makes me want to update all my pages to newer versions. However, on my first test, something actually rendered differentlyso I would need to test each of my pages if I do this. This will wait until Ray gets involved; there will be lots of changes made then. Every time I make a single pass through all my files, it is a tremendous time commitment, since I have so many files! There's a bug with the rendering of $\,\rm\TeX\,$ in Safari; they initially render correctly, but then they break and look horrible. This problem doesn't occur in Chrome or Firefox. Update 4/11/16: the problem is only with very old versions of Safari (pre-version 6; mine is currently 5.1). Good to know! Put in large pot (about 8 quarts) with about 1 cup water. Cook on low heat, stirring and smushing occasionally (with potato masher), for 20-60 minutes (depending on type and hardness of apples). There can still be chunks; apples just need to be soft enough to put through the food mill. Put through rotary food mill (this removes peels). After putting through food mill, add about 1/2 to 1 tsp cinnamon, if desired. Makes about 8 cups applesauce. I've now put the small ad and marquee on all my pages. I'm wondering if the small ads don't pay as much as the large banners (which would make sense); I've only earned a few pennies in the last couple days. But, I like the look much better than the big ugly ad on top. Trip to Massachusetts to visit my Mom for three weeks, so my sister can get a break from Mom's care. The flights were on time and uneventfuljust the way I like them! We actually got pretzels on the flights (after no snacks on flights for years). Goals for this trip (besides lots of snuggle time with Mom): get Jean's room ready for Marybelle to come and live with Mom; make lots of progress on Precalculus. I've gotten a bunch more problems done on Inverse Trigonometric Function Problems: All Mixed Up. Finally back to content! I'm testing a small AdSense ad in the box beneath my search box, together with a marquee to get a daily message to my users. Right now, it's primarily in the Precalculus lessons. I'll see if I get any negative feedbackI certainly don't want to annoy my users! After all this time, I finally updated all my Algebra I pdf files to get rid of the fishcaro@crosswinds.net and to put in my new name instead of Carol J.V. Fisher. I was worried that people were finding one of these pdf pages in an internet search, and then never being able to find me! Big job done! Hooray! Also, two extended family members came over today and mentioned that they had visited my site, and they were like ‘Wow!’ After about 17 years of working on this, I've rarely had such an enthusiastic responseso I'm hoping this is a sign of good things to come! Ah hah! An answer to my question about the image tag inside the Amazon affiliate links! I updated my monthly stats and website income for March. I've spent the last couple days fixing broken links on my site. I have so much old stuff that I no longer maintain, that it sometimes feels out-of-control. I want to start a fresh new domain, with JUST the lessons!! I was accepted into the Etsy Affiliate program, so now users can support my work by shopping either Amazon or Etsy. I went through my entire main Table of Contents, updating all the pages (and sub-pages) with the new site style. This was a lot of work! Now, most of my site should have the same look-and-feel. I'm sure I'll discover pages that have been missed in the coming months, but I think I've hit the majority. I also deleted all the old versions of my web pages from the server. (Many lessons had a duplicate version with OLD appended at the end of the name.) Now, I can get back to my Precalculus course! I also created a custom 404 Not Found page. Now, if someone goes to a page on my site that isn't there, they'll get this page, asking them to please notify me of the error. My most-requested file that wasn't found for March was apple-touch-icon.png. There were 1687 requests, each of which returned a 404 error. I researched and discovered that this file is looked for when people bookmark your page from an Apple deviceso this is a good thing! I've now got a file in place. Ray fixed the email problem for my homepage. He inserted code so that, when I get the email, the email return address is inserted as text at the end of the message. (Crosswinds was over-writing the email address with their own address, evidently due to security issues.) Ray also put a re-direct from treeofmath.org to my new homepage. Ray is amazing!! Here's a machine-pieced hexagon quilt that I want to keep track of. Another machine-pieced hexagon quilt . I want to keep track of these die-cutting videos for quilting. I've also tweaked my ‘support my site’ display, adding a thank-you link (with a fun color-changing button). And, I've applied for the Etsy Affiliate program (similar to the Amazon Affiliate program); it will likely take a few days to hear back from them. I want to keep track of Jet Anywhere. I could have bought my Orbitz plane tickets thru them, and gotten back 5.6% in JetCash to use toward future purchases. Okay, now I need to check both retailmenot.com AND Jet Anywhere before I buy anything online!! I replaced the text-only links with image links, in the ‘Lessons’ section of my new homepage. There are 18 images; when they were full-size (about 1Mb each), the page was way too slow to load. So, I imported them into Pixelmator and exported them for the web (reducing the quality a bit) to cut them each down to about 350Kb. Still too slow, so I removed the Language of Math links (added that to the ‘More’ section). The lesson images add lots of interest, so I think it's worth a bit slower load. I've also taken off AdSense, and replaced it with Amazon. Now, the tops of the pages look much cleaner and more professional. We'll see if the Amazon revenue will increase and make up for lost AdSense income. I added CAMT 2015 to my online vita. My new homepage is up!! I'm excited!! This has been a long time coming!! Big website change! I changed the background color from the green (that I love, but I think the rest of the world doesn't) to colors that will appear in our new (eventual) website design. Makes it a bit more mainstream! I'm in Massachusetts for a week with Marybelle, visiting my sister and Mom. I added a KenKen link to the Algebra I Table of Contents (‘Fun Stuff’ column). I started my next-to-last section in trigonometry: Inverse Trigonometric Function Problems: All Mixed Up. I've also started the third square in Julia and Tony's memento wedding quiltthe map. I can't finish either the robots or the map until I get my embroidery machine back from the repair shop! I had forgotten how to use my needle threader that I keep velcroed to my machine! I was having trouble with some of the thicker threads, and this really helps. I got my cornbread recipe up for Friday's cooking/driving date with Marybelle! I finished the exercises for the arctangent section. I'm getting close to being done with trigonometry!! I broke my embroidery machine, and it won't be ready for pick-up until the end of March. Likely I've (unknowingly) tortured it over the past three weeks, since I'm new to embroidery machines. So, fewer distractions for a bit here! I finally finished going through all the embroidery files that I was given with my Janome 350E! I had to re-organize, re-group, give meaningful names. I've spent mega-hours on this. There are many that I'll likely never use, but a bunch are good. Glad to know what I have, though! I'm making a ‘sampler quilt’ with lots of my favorites (and ones that I've purchased). Bethany got a new rat, so she can breed again! The two major pet store chains stopped carrying rats, but we found one at Tropical Kingdom on Prince Street in Tucson. The man who works with the rats in the back is so nice, and Bethany got a handsome happy rat! I finished the concept discussion for the arctangent section. Seeing all the yellow highlighting (press the ‘see changes’ button) makes me realize why it took me so long, even though this wasn't a ‘from scratch’ section! I updated my monthly stats and website income for both January and February. Don't know how January got forgotten! I also archived 2015. I'm making good progress on the arctangent section. These really cute paper monster and owl corner bookmarks were posted on Facebook, and I want to keep track of them. Seems like a fun, practical project for a rainy day with (possibly future) grandkid(s)! This is just one of many fun crafts from Red Ted Art. I'm starting the arctangent section. Since it's basically a copy of the arcsine section, with appropriate changes, Ray suggested a button that users can click to see all the changes highlighted. I figured out how to do this today using getElementsByClassName . The default background-color for a span is ‘transparent’ (needed to turn off the highlighting). I added an in-section exercise (at the top) to Addition of Signed Numbers. It was conceptualized by Robert Fant, Technology Integration Enthusiast. Robert was kind enough to send me his code, and give me permission to use it on my siteI then altered the concept a bit and added some functionality. Robert does so much for his studentsthey are so lucky to have him as a teacher! Mpix: their prints were a bit more expensive than Snapfish, but (in my opinion) definitely worth the extra money. The Mpix prints had better color, and the weight and feel of the photo paper was much more desirable. I ordered three different kinds online from Amazon, and bought two kinds from Walmart. All were for holding a 4in x 6in print horizontally (i.e., positioned with the long side left/right, the short side up/down). Walmart, Mainstays rigid acrylic, for table display. Only 94¢ each (I made several trips, buying them out each time). You remove a protective film and a paper insert; photo slides in effortlessly. This and the other Walmart frame below are my favoritesmost economical and easiest-to-use. Walmart ‘beat out’ Amazon on this particular item. Also, both of the Mainstay frames are borderless, which I like. The three more expensive (Amazon) ones end up with a narrow white border around the picture, which I don't like. Walmart, Mainstays magnetic photo frame (rigid acrylic). Only 98¢ each. You rip open the plastic bag and remove a plastic insert from the frame; again photo slides in effortlessly. Has a small magnet centered in the back, which is more than enough to hold it securely to the refrigerator. I prefer this to any of the full-magnetic-backing flexible (not rigid) frames below (all of which were more expensive). Magtech white magnetic photo pockets, set of 10; full magnetic backing; final cost \$1.20 each; ordered on Amazon. The two short sides are open; photo is a bit easier to slide in than the two (more expensive) kinds below. Magnetic photo sleeves by Regent Products Corp., comes in set of two, full magnetic backing; flexible (not rigid); final cost \$1.50 each; ordered on Amazon. Only one (long) side has an opening; a bit tricky to get photo in. Feels sturdier and higher-quality than the (more expensive) one below. Freez-a-Frame magnetic photo pockets, comes in set of five, full magnetic backing; flexible (not rigid); final cost \$1.85 each; ordered on Amazon. Only one (long) side has an opening; a bit tricky to get photo in. I finished the web exercises for Inverse Trigonometric Function: Arccosine. (It wasn't enough work to have taken a week, but I've been distracted with my incredible new embroidery machine!) On to the arctangent! I got a Janome 350E Memory Craft Embroidery machine! I need one for Julia and Tony's wedding quilt. It retails for \$1999; I saw it new on Amazon for \$1199, and I got it used on Craigslist (in great shape, with lots of extras) for \$750! She recommend the free Wilcom software (TrueSizer) to be able to see and work with the embroidery files (which I haven't yet worked with). While watching the instructional DVD that came with the machine, I made an unfortunate mistake. I was going through the bobbin-area-cleaning process, and after cleaning with the provided lint brush, I noticed that lint seemed to be stuck inside the hole beneath where the bobbin sits. I couldn't get it dislodged, so I got out tweezers to gently pull it outand immediately realized my goof. Ends up it's an oil wick (it pulled up like a thick cord), and it's supposed to be there. Figuring I had just made a very expensive mistake, I was distraught. An internet search (eventually) turned up someone else who had made the same mistake, and who said the lady at the quilt shop quickly fixed it (but didn't say how). I was lucky enough to have a wonderful service man at Cathey's Sew and Vac in Tucson who told me over the phone how to fix itjust poke it back down with a long narrow object, and it will be fine! I also mentioned that a little ‘ball’ of a wax-like substance had come out (like a wax plug), and he said that was likely just dried oil, and to discard it. I did what he said, and my machine is working perfectly!! Thank you, thank you, thank you to this kind person who saved me lots of money and turned me into a future-loyal-customer of Cathey's when I do need repairs!! Moral of the story: DON'T TRY TO CLEAN WHAT LOOKS LIKE LINT IN THE HOLE BENEATH THE BOBBIN!!! It's actually an oil wick, and it's supposed to be there! I finished the concept discussion for Inverse Trigonometric Function: Arccosine. Tweaking the graphics still took a reasonable amount of time, but definitely not as long as first time around! My newest section, Inverse Trigonometric Function: Arccosine, should emerge quickly, since it's just a copy of the arcsine section with appropriate changes. Hopefully just a few days (instead of a few weeks)! Hooray! Finally done with Inverse Trigonometric Function: Arcsine. There are 43 different problem types; no teaching-to-the-test when using my materials! I've finished thirty problem types for Inverse Trigonometric Function: Arcsine, and still have lots to go!! I'm putting some recipes and cooking tips on the web; Marybelle and I will be getting together about once each week to start to create a ‘repertoire’ of meals she can make. Finished the concept discussion for Inverse Trigonometric Function: Arcsine. On to the web exercises. I'll have near-identical sections for arccosine and arctangent; then, a lesson with a wide variety of problems that incorporates all three inverse trigonometric functions. More good progress on Inverse Trigonometric Function: Arcsine. Getting close to being done with the concept discussion! The graphics are taking me a long time to get just right. My daughter Julia does a lot of aerial silks at the Circus Academy of Tucson. It's located at 400 W Speedway Blvd; the NW Corner of Speedway and Main. Me, Ray, and Bethany all tried it outand both Ray and Bethany loved it!! I archived my 2015 blog. More good progress on Inverse Trigonometric Function: Arcsine. I'm beginning to be pleased with the concept discussion for Inverse Trigonometric Function: Arcsine. There will be near-identical sections for the arccosine and the arctangent, so it's worth my taking the time to get it right! Some of these unconventional binder-clip uses are fantastic! I've finally started the concept discussion for a new web exercise: Inverse Trigonometric Function: Arcsine. I added a sample annotated verse-by-verse Book of Mormon (with exercises) to my things Spiritual page. I had thought about starting this project in 2011 and had come up with this potential format. I may never actually take on this project (it would likely take me decades); but I definitely won't attack it until I'm done with Precalculus (and likely Calculus). But, I didn't want to lose the work I had done. Someone else might want to take on this project! I've been learning Spanish. I've created some online Spanish practice for myself! I've finally finished the web exercises for Trying to ‘Undo’ Trigonometric Functions. With the busyness of my month in Massachusetts and the holiday season, it took me a month to get this section done. Phew! There are many of these tips that I didn't know! Happy New Year, everyone! May 2016 be a good one for all. I updated my monthly stats and website income for December, and for all of 2015.